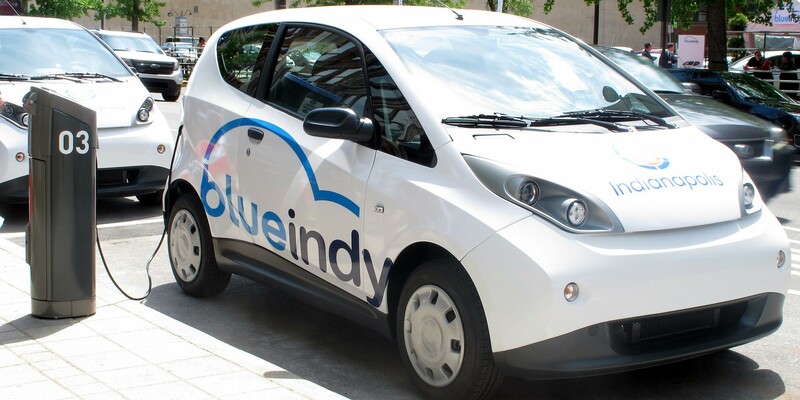 After its first full month of service, BlueIndy announced that over 500 people have signed up for the all-electric car sharing program. The company is operating over 25 stations in Indianapolis hosting up to 5 cars each. The price structure of the program is fairly simple. Drivers need to pay a 10$ per month membership fee if you sign-up for 1 year and then $4 for the first 20 minutes of use of a Bluecar and $0.20 per additional minute.